In the Middle Jurassic Tiaojishan Formation of China paleontologists have found the oldest known paravians: the animals that gave rise to birds. 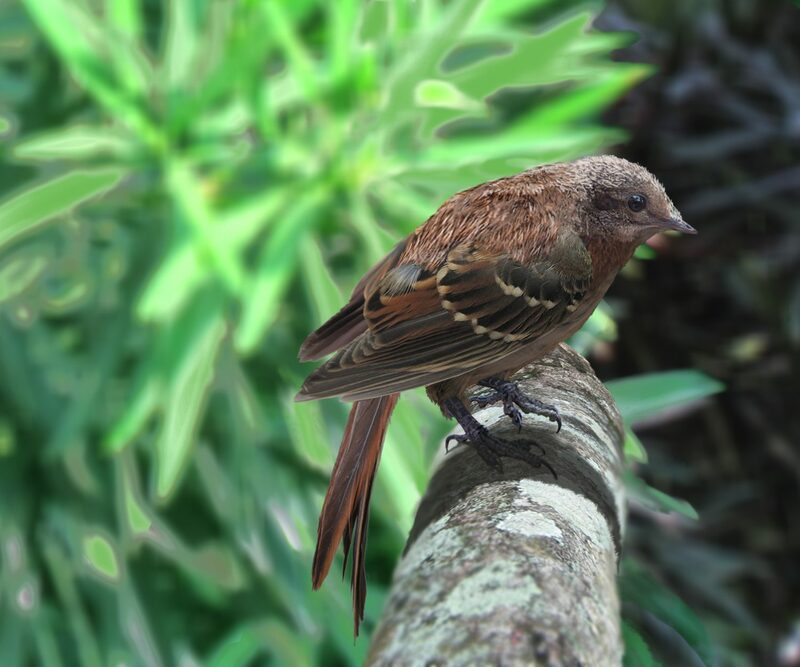 There is no reason to think that the first birds evolved here, it’s more likely to be an excellent site for preserving small fossils, but it’s the closest we’ve ever gotten to finding the origin of birds. I, for one, can’t help but try to imagine how they lived. The ecosystem was arranged around deep, still, lakes, with a range of volcanic mountains to the east. There were thickets of bennettites, cycads, ginkgophytes, and ferns, and stands of diverse conifer trees upland. 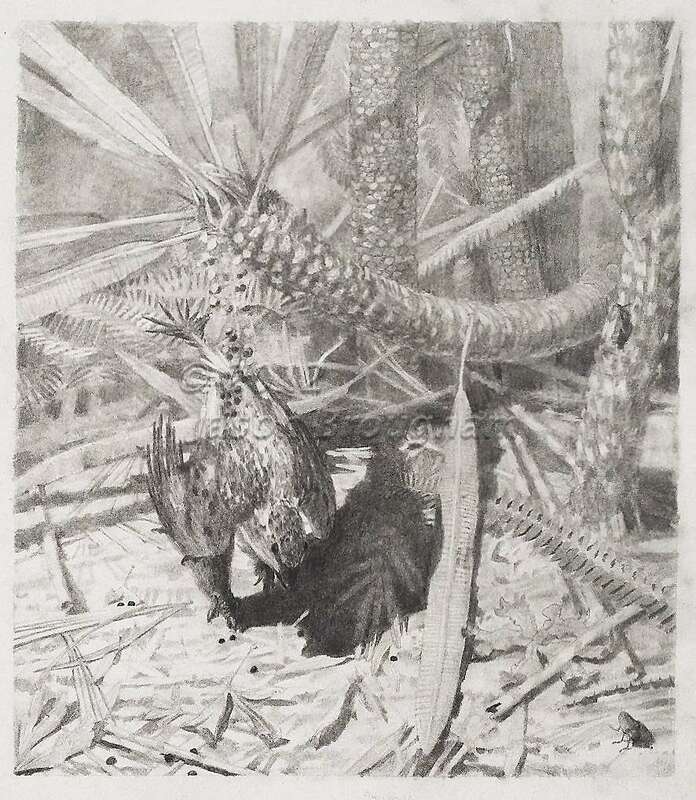 This sketch depicts Xiaotingia zhengi, a basal paravian, foraging in the thicket. It is taking black cycad seeds that have dropped from the ovulate cone Beania. Beania is the cone of a cycad which has Nilssoniopteris leaves and a Lioxylon stem. The leaf litter includes Cladophlebis, Jacutiella, Phoenicopsis, Ginkgo, Podozamites, and Equisetum. There are two insects: a nemestrinid fly and a chrysomelid beetle. There is one liverwort: Hepaticites.